The world is divided between humans and cyborgs. Scarlet Lock is neither. She is a soldier created to kill on command. But her memory has been erased and when she awakens in a government facility she soon discovers that this new world is a dangerous place, full of government secrets and cruel experiments performed in the name of progress. With the help of a group of cyborgs, Scarlet will fight to uncover the truth and transform the future of the new world she now lives in. 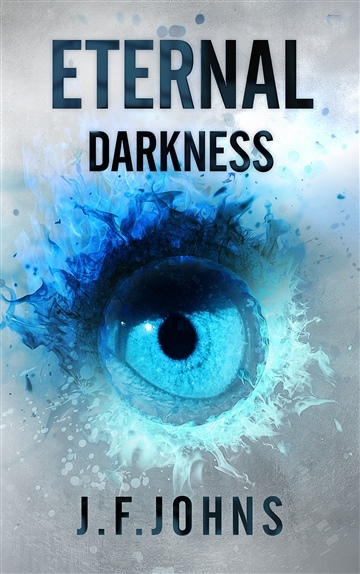 Eternal Darkness is full of suspense, action and romance and will make readers question what it means to be human. J.F.Johns is 25 years old and was born and raised in Spain. She studied English Literature and Creative Writing at ARU in Cambridge, UK. She's an animal lover, and spends her free time playing with her adopted dog, drinking too much coffee and posting book photos on her Instagram.She believes in the art of dramatic sighing and eye rolling. She works as a ninja, but has been told several times that she's not very good at her job.